Do chickens lay eggs in the winter? Yes, they do. It’s not the cold that slows down egg production for a hen it’s the amount of daylight. For that reason, many backyard chicken owners will use artificial light in the coop to help their chickens lay more eggs. But, in the dead cold of winter, how do we keep eggs from freezing? We need to get out and collect the eggs but it is just so darn cold and our home is so nice and toasty. So we delay heading out enjoying the warmth just a bit longer. When we do go out into the chicken coop we are greeted with frozen eggs. Frustrating yes, but actually not the end of the world. Or the egg for that matter. 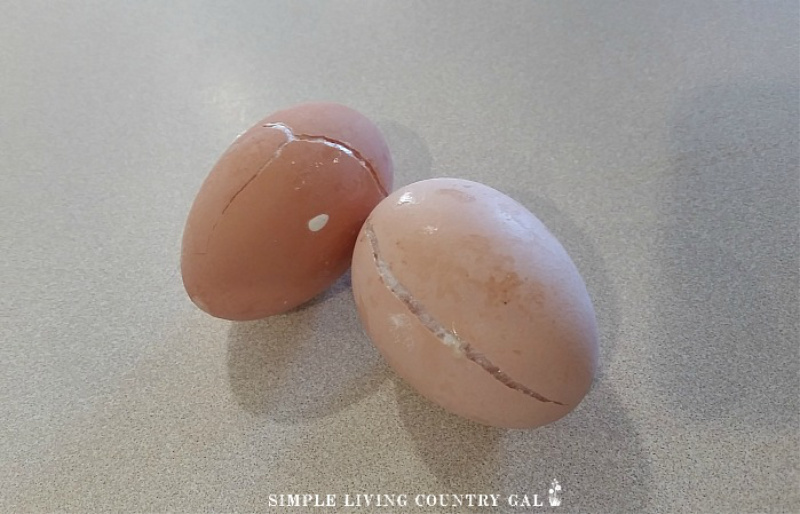 Before we dive into what to do with frozen eggs from the chicken coop, let’s first talk about tips on how to prevent eggs from freezing in the winter. No matter how cold it is where you are there are a few things you can do to keep eggs from freezing solid. Pick and choose the best tips for you and where you live and please be sure to put safety first and foremost when choosing. And the very best way to do this is with lots and lots of straw or hay. I like to fill our boxes full so my chickens can make a bed inside that they like. Some of my hens will do such a good job that I will find 6 or more eggs in one box and none in the others. Straw helps to keep the egg from freezing by insulating it and allow the natural warmth of the egg to remain. This is just a temporary fix, however, and not one you cannot completely rely on in the deep cold temperatures of northern areas. You will want to keep an eye on the straw and replenish as needed. The more a box gets used the more the straw will be kicked out or compressed down. Just make a note to bring more with you a couple of times a week and fill as you need it. 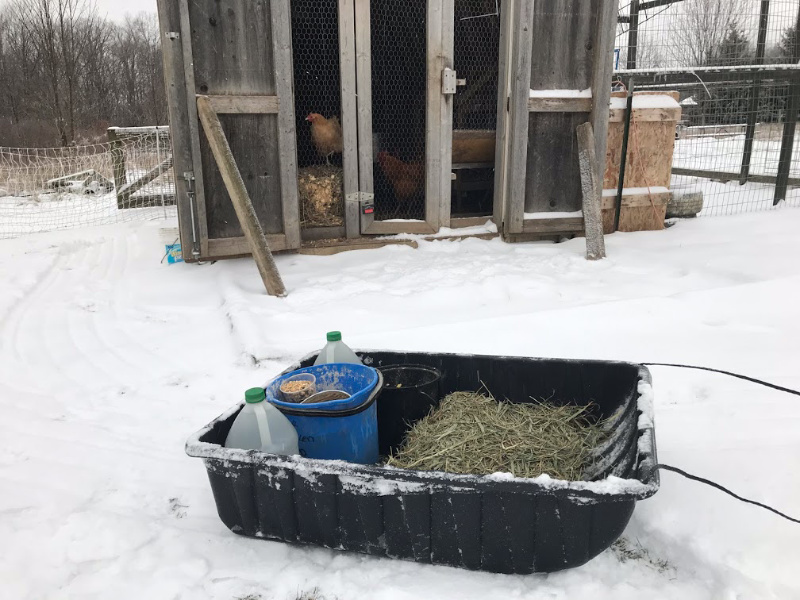 If you live in a snowy area, it can be tricky bringing feed, water, and now straw to your coop each day. I just purchased this utility sled from Amazon and I just love it! I am now able to bring everything I need with me on one trip and not have to walk back and forth for my feeding supplies. By far the very best purchase I have made to date! This is an important step even if you do not live in a frigid winter zone and one I like to do in the fall. By doing a yearly coop inspection you will catch any issues before they become a problem. Drafts can be deadly so be sure to find them all and do what you can to correct them. Inspect the walls, ceiling, and even the floors and replace rotted boards if needed. This will not only keep your flock healthier but it will also keep predators out. Ninja tip: You can also apply tarps to the outside of your coop to help even more but I would only do this only if you must. Seel up the coop too much and you will stop any airflow and that is not good either. Coops can be dirty and dusty even in winter so proper airflow is key. If you must add a tarp, I would suggest just on the side that takes the brunt of the winds to keep that chilly air out yet still allow for ventilation on the other sides. Most of us know already which direction the winds blow and for that reason, you will want to set up your chicken coop accordingly. Place your nesting boxes on a wall that will get the least wind and as far from the coop door as you can. You can also put your nesting boxes on the east side to take advantage of the sun in the morning. Even in the frigid winter the sun is surprisingly warm. If you have a small coop then you may not have room to keep your boxes far from the door, if that is the case then at the very least choose the wall furthest from the cold winds. If you have windows in your coop then consider adding curtains to keep the drafts out. You might be amazed at how much this helps with the cold. Windows can be very drafty and remember even though we do want ventilation we do not want drafts. So hang a few thick curtains and keep the gals warmer along with their eggs. Tip # 5. Collect eggs more often. If you have had your chickens for long, then you probably have an idea when they lay. My hens tend to lay either very late morning or early afternoon. In the winter I will go out at 11 am then again at 3 pm to collect eggs on very cold days. If you are new to chickens you can find your flock’s laying schedule just by visiting the coop every few hours each day for about a week. This will give you some idea of when they lay so you can collect eggs a bit more efficiently. Tip # 5. Bring in some heat. Before we dive into heat lamps, let me first say do this at your own risk. I avoid heat lamps in our coops even when the temperatures plummet to below zero and refuse to use them because the risk is too high for us. We have used heat lamps before and one close call almost burnt down our barn. We no longer use them in our coop for this reason. Disclaimer: Heat lamps are dangerous and one of the biggest causes of fires in barns and coops so please proceed with caution here. 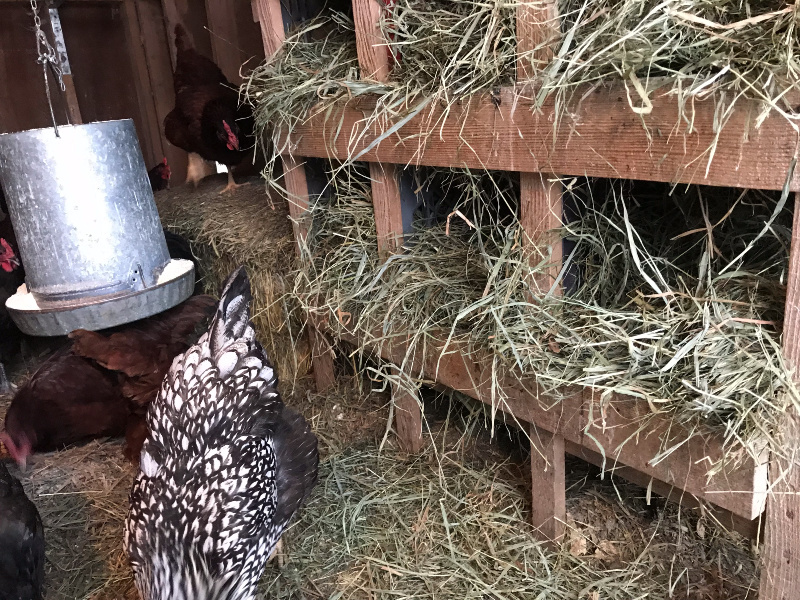 On our homestead, we prefer to use the deep litter method and we find the natural insulation that it provides does well enough to keep our gals warm. If, however, you want to bring in a bit more heat you do have a few options. A heat lamp is a light and bulb that is specifically made to produce heat. You will need an electric source in your coop for this and an extension cord is not a safe option. If you do have electric and choose to do this route be sure to use every safety measure you can. Double secure the light with chains and zip ties to keep lights securely in place. Also, put lights far away from chicken roosts and nesting boxes so the chickens do not fly and accidentally knock one to the ground. A portable coop heater is a newer option that seems to be a bit safer. Again you will need to have electric in your coop to use this since an extension cord is not recommended. Depending on the size of your coop, you may need two of these but from what I have heard and read they seem to work surprisingly well. You can also try a heated chicken mat, but since it is a floor mat I am not sure how much it will help to keep eggs from freezing. Your chickens feet will be cozy but not necessarily the eggs. Again this is not something I have tried so you will want to do a bit of research before purchasing. So, now that we covered a few ways to prevent eggs from freezing what can we do if our eggs are already frozen? In the winter, eggs can freeze in just 3 hours so it is only natural that we will all encounter a few frozen eggs in our chicken raising lifetime. There are a few options you can do if your eggs are frozen and no, tossing them is not one of them. Disclaimer: If you find a frozen egg that is cracked I would not eat this egg. Chicken eggs can be dirty even if they do not look it. For that reason, my option for cracked and frozen eggs is always to feed to our flock or other animals. #1 Feed them back to the flock. Eggs are an amazing source of protein and great for chickens. I like to feed a few eggs back to my flock each week as a warm morning treat on cold winter days. The key here is to cook the eggs before you feed them so you do not run the risk of your chickens developing a taste for raw eggs. Ninja tip: You can add herbs to your eggs to create a healthy treat for your hens as well. I love this recipe for chicken egg casserole from Timber Creek Farm and my hens do too! #2 Feed them to other livestock. If you have pigs they love eggs. Scramble up a few eggs and toss in their bowl and they will come running. The same is true with any cats you have. 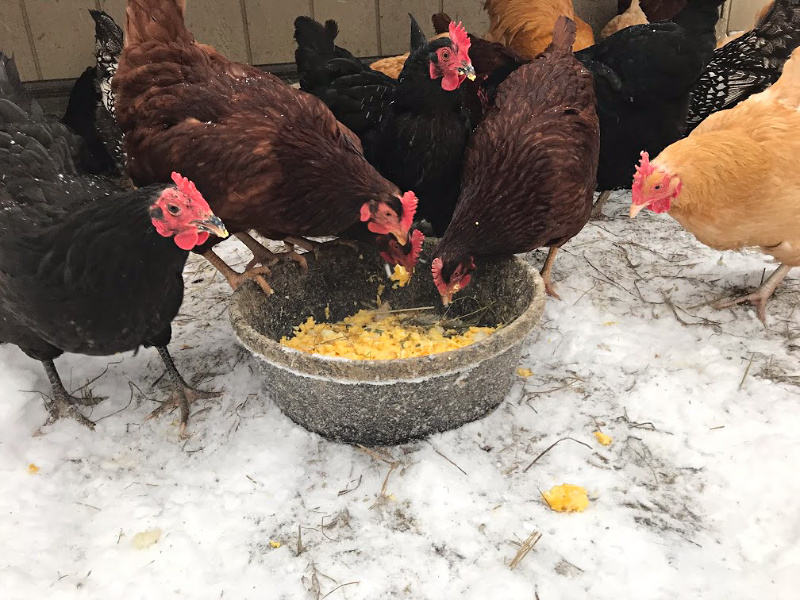 Warm eggs on a cold morning is a treat they will love as well. If an egg is not cracked then you can thaw it and eat it yourself. To thaw, place it in the fridge to bring the frozen temp down slowly. The best way to then eat the egg is to hard boil it. I am told you can scramble it as well, but I have not tried it to see how the taste or consistency is altered. If you live in a very cold climate then prevention is always the best way to go with our animals. When we help ensure our animals are warm in the winter our eggs will stay unfrozen as well. 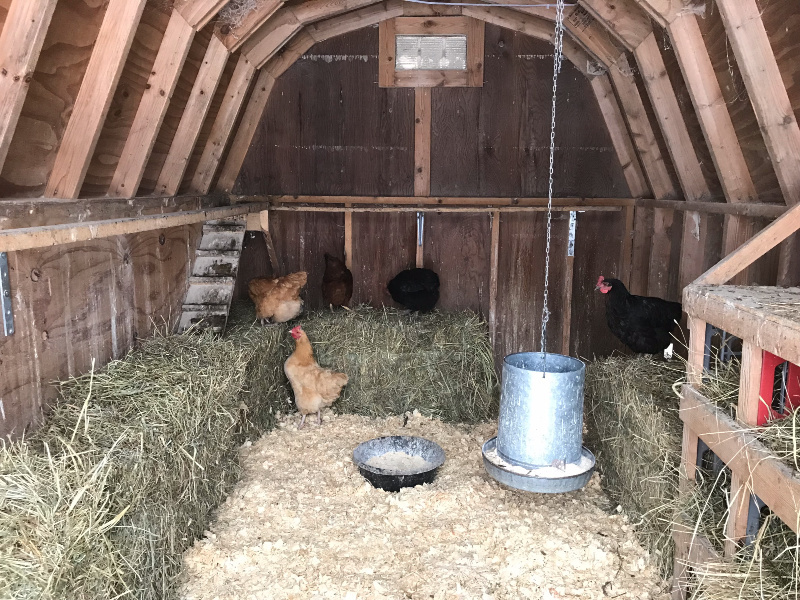 A solid coop, nesting box placement, and insulation and frequent egg collecting should all be enough to keep eggs from freezing in the winter. 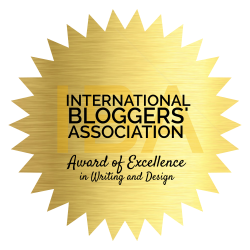 You can find this post and others over at my favorite blog hop!